Taking a quick break in the Venezuelan profiles to say Happy Cinco de Mayo. Big creative props to PunkRockPaint, who pimped the Baseball Card Blog with a set of six Muppets custom cards today! He labeled the Janice card as number 5, but the whole Electric Mayhem team looks great. Wish we had these cards when I was a kid! Check out the whole band at Muppets...The Retro Baseball Card Set. Identify the 1972 Topps cards he used and win a custom card of your own! 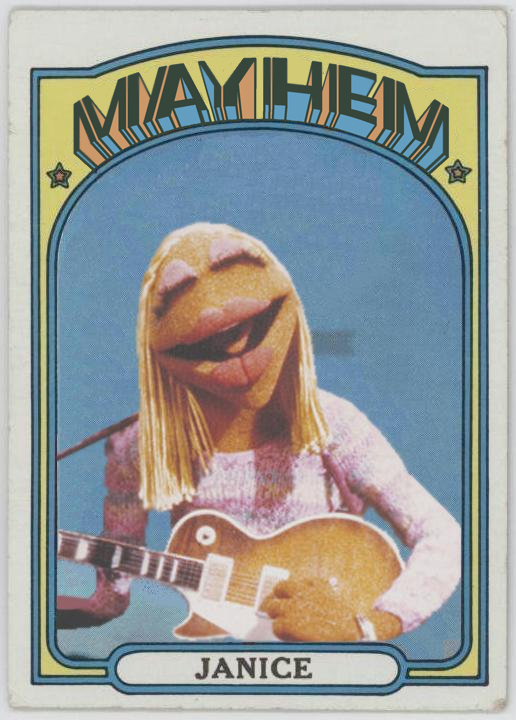 I would've spent so much money if there were Muppet cards when I was kid. Look forward to the complete Floyd!